The 2019 Ram 1500 Big Horn has a maximum towing capacity of 10,140lbs for hauling cargo with an ease, and step inside for creature comforts such as a Apple CarPlay and Android Auto to keep you connected. The 2019 Charger GT comes equipped with a 3.6L V6 paired to a 8-Speed Automatic, 20-inch Granite Crystal Aluminum Wheels, and a stunning 8.4-inch Uconnect Infotainment system. Heated front and second row seats, a fold in floor 3rd row, and Tri-Zone Climate Control make the Chrysler Pacifica the perfect touring vehicle for up to 8 passengers. Courtesy Chrysler Jeep Dodge provides a selection of Featured Inventory, representing new and popular items at competitive prices. Please take a moment to investigate these current highlighted models, hand-picked from our ever-changing inventories! Courtesy Chrysler Jeep Dodge RAM in Tampa provides a selection of Featured Vehicles, representing new and popular cars, trucks and SUVs at competitive prices. Our dealership in Tampa is proud to serve St Pete, Lakeland, Bradenton and Clearwater, FL. Can't find what your looking for in our specials? View our entire new car inventory and find the perfect Chrysler, Jeep, Dodge or RAM at a great price. If we don't have it in our inventory, use our CarFinder tool and Courtesy Chrysler Dodge Jeep RAM will help you find the vehicle you are looking for. At Courtesy Chrysler Jeep Dodge RAM (located at 9207 E Adamo Drive Tampa, Florida), we know our cars and trucks inside and out. Our team will not only help you find your next Jeep Wrangler, Dodge RAM 1500, Chrysler 300, Jeep Cherokee, Jeep Grand Cherokee, Chrysler 200 or Dodge Challenger, but we will help you find the best car for you at the best price. See our current offers going on now at Courtesy Chrysler Jeep Dodge and schedule your appointment today. Get a great deal on a new Chrysler at Courtesy Chrysler Jeep Dodge RAM in Tampa. Whether you live or work in Tampa, St Pete, Bradenton, Lakeland or Clearwater, we have the perfect Chrysler vehicle for you. If you don't se the perfect vehicle on our featured page, see all of our current offers to see this month's incentives or dig deeper into our inventory to find the Chrysler 200, Chrysler 300 or Chrysler Pacifica that fits your lifestyle. Courtesy Chrysler Jeep Dodge RAM is located at 9207 E Adamo Drive Tampa, Florida and has the best selection of Jeep Wrangler, Jeep Renegade, Jeep Cherokee, Jeep Grand Cherokee, Jeep Patriot and Jeep Wrangler Unlimited SUVs. Now is the perfect time to get into the Jeep that you have always wanted. Didn't find the Jeep for you on our Specials page? See our current offers and view our entire new Jeep inventory and we are sure that you will find the SUV for you. Now is the perfect time to find the Dodge car or SUV that you have been dreaming of. Courtesy Chrysler Jeep Dodge has a huge selection of Dodge Challenger, Dodge Charger, Dodge Dart, Dodge Grand Caravan, Dodge Journey and Dodge Durango cars, vans and SUVs. So even if you can't find your next car in our new specials, we still have a great deal waiting for you. Give us a call and schedule your test drive today! 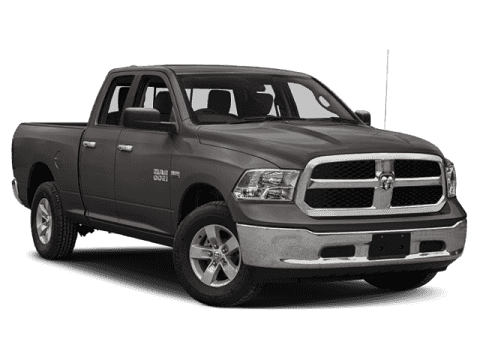 Our truck experts at Courtesy Chrysler Dodge Jeep will help you find the perfect RAM to help you get the job done. Our huge selection of RAM 1500, RAM 2500, RAM 3500 trucks are built tough but are not as tough to get into as you may think. See our current offers on RAM trucks and schedule your test drive today. For well qualified lessees. Example Stock# KN581982 for $479/ mo for 36 months with $0 due at signing. Based on MSRP example of $45,765.00 after all applicable offers. Total due at lease signing includes a down payment and first month's payment. Offer requires dealer contribution. Tax, title & license extra. Lessee pays for excess wear and mileage of $.25/mile ($0.50/mile for SRT models) for each mile over 12,000 miles per year, if vehicle is returned at end of term. Option to buy at lease end at pre-negotiated price. Dealer's actual terms may vary. Offer through Chrysler Capital. Residency restrictions apply. Must take retail delivery by 04/30/2019. $395 disposition fee due at lease end. For well qualified lessees. Example Stock# KH625819 for $429/ mo for 36 months with $0 due at signing. Based on MSRP example of $32,990.00 with 29H package after all applicable offers. Total due at lease signing includes a down payment and first month's payment. Offer requires dealer contribution. Tax, title & license extra. Lessee pays for excess wear and mileage of $.25/mile ($0.50/mile for SRT models) for each mile over 12,000 miles per year, if vehicle is returned at end of term. Option to buy at lease end at pre-negotiated price. Dealer's actual terms may vary. Offer through Chrysler Capital. Residency restrictions apply. Must take retail delivery by 04/30/2019. $395 disposition fee due at lease end. For well qualified lessees. Example Stock# KR540201 for $549/ mo for 36 months with $0 due at signing. Based on MSRP example of $40,375.00 after all applicable offers. Total due at lease signing includes a down payment and first month's payment. Offer requires dealer contribution. Tax, title & license extra. Lessee pays for excess wear and mileage of $.25/mile ($0.50/mile for SRT models) for each mile over 12,000 miles per year, if vehicle is returned at end of term. Option to buy at lease end at pre-negotiated price. Dealer's actual terms may vary. Offer through Chrysler Capital. Residency restrictions apply. Must take retail delivery by 04/30/2019. $395 disposition fee due at lease end.